Binaural Beats Vs Isochronic Tones, Which is More Effective? i read that bunyral beats could be unsafe for such conditions? edpecially those affecting the brain. Os this true? I’m not a doctor, so I can’t honestly give you concrete advice that this technology is safe for any specific condition. My knowledge comes from using and studying the technology for around 10 years now, as an enthusiast. From my own personal perspective, I believe it is a safe technology to use. If I had any doubts about that, I wouldn’t post videos on YouTube that anyone can use, or allow my own children to use it. Perhaps you could begin with a file which features beta or maybe high theta. It is my personal experience that the files with delta are “more challenging” at least when you first try listening. Hi Jason, I’ve been using binaural beats for years but I am intrigued with isochronic beats now. Any way to find just the beats without any music with it? The reason I ask is that music is a personal experience with me and it gets me going with visualizations and such. I found that just listening to the binaural beats makes me much more focused compared to music embedded with beats. Hi Nicholas, yes you can get a version of all of my isochronic tones tracks without any music. If you go to any of the isochronic tones product pages, you will see a ‘Just Tones’ version in the background sounds options. Hi sir , can i have dream with 5 hz? I tried a time i had dream for 3 hours (i set it for 3 hours ) then i tried many times again but i didnt have dream. Why? There isn’t really an exact frequency that will guarantee to make everyone have more dreams. Most dreams tend to happen when we are experiencing periods of REM (rapid eye movement) sleep during the night. Depending on the person and how long they sleep, a typical person might experience 3-5 periods of REM sleep per night. It’s that stage where we are drifting between a state of sleep and being awake that our consciousness enters dream states. While we are asleep we usually produce mainly Delta wave activity in the 4Hz and below region. So I would expect many people to experience dreams while they are in and around the 4-5Hz region, but usually after they have already experienced some deeper sleep. It will vary from person to person. Even the same person will experience different sleep patterns and potentially hit the dream sweet spot at slightly different stages. Which might explain why the 5Hz track helped you dream once, but not on other occasions. Just listening to 5Hz or any frequency between 4-5Hz isn’t really going to guarantee more dreams on its own. You need to hit that sweet spot where you are drifting in and out of sleep and a fully awakened state, and that’s difficult to achieve listening to a single frequency. It’s also worth keeping a notebook by your bed and consciously telling yourself before sleeping, that you will write down any dreams you remember as soon as you wake up. That can be helpful because we dream a lot more than we think but usually just forget them, or don’t wake up fully enough to consciously make a note of them. So isochronic tones is more effective than binaural beats? Yes, isochronic tones are more effective than binaural beats. I’m just getting into some of this so please forgive me if this is a silly question. I’ve been reading a lot about the solfeggio frequencies, which are below. Based on this would they be considered isochronic tones if both ears are set per say at 396 hz (just using one of the tones from below) at one-second increments? Or are isochronic tones set at different frequencies from the solfeggio scale? Hi Amber, an isochronic tone is just a single tone that is switched on and off at regular intervals. Doing that at a rate of 1-second increments would make it a 1Hz isochronic tone. So that describes the speed of an isochronic tone. The next thing is to choose what the tone/beat sounds like, which is where the pitch frequency and the solfeggio scale can come into play. You can have 1Hz isochronic tones with a pitch frequency of 396Hz, which would sound deeper in tone than 1Hz isochronic tones with a higher 852Hz pitch, at the other end of the scale. Most humans can’t hear pitch frequencies below 20Hz, so it always has to be higher than that. A lot of portable devices like mobiles/cell phones, tablets, laptops etc., don’t have very strong bass sounds, and you may struggle to hear pitch frequencies below 80Hz on many of them. So as long as it’s higher than that, up to about 20kHz, you can choose any pitch frequency you like for an isochronic tone, including everything on the solfeggio scale. I’ve only released a couple of videos using the solfeggio scale so far, but I will be releasing a lot more solfeggio related tracks soon. I’ve noticed that on many apps that use binaural beats the sound is very distinctive and not shallow at all. (See Binaural app) In fact the Brainwave app offers both isochronic tones and binaural beats for a particular session and they sound EXACTLY the same. Could you explain what the hell is going on here. It sounds to me that nobody really knows what’s going on in this field. There is definitely a problem relating to this issue in the field. 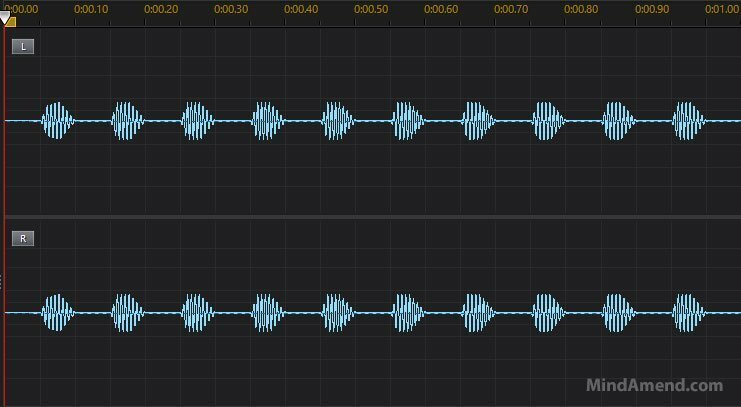 Firstly, there are probably audio creators that don’t really have a great deal of knowledge, who are mistakingly labelling their audios as binaural beats when they are not. Secondly, there are audio creators who are deliberately miss-labelling isochronic tones tracks as binaural beats because of the demand in the niche. Binaural beats were popularised first, so more people are aware of the term and this results in 10 times as many searches a month for binaural beats, compared to isochronic tones. Audio creators want their products to be seen by as many people as possible, so some people are deliberately saying they are providing binaural beats when they’re not, just so they can be found in more searches. This has resulted in a false demand being maintained for binaural beats. I see loads of end users of this technology refer to isochronic tones as binaural beats, thinking that the term binaural beats should be used to describe any type of brainwave entrainment audio, which is incorrect. Binaural beats are just one type of audio method used to create a brainwave entrainment effect. The effects of brainwave entrainment stimulation are strongest and mainly felt while you are listening to it. Once the audio stops your brainwave activity falls out of sync with the beats/tones. I have yet to see any conclusive research studies measuring the long-term effects of either binaural beats or isochronic tones. So at the moment, if anyone is telling you that binaural beats have better long-term effects, it’s based on their opinion, not on any research I’ve heard about. From a short-term perspective, it’s widely accepted among experts in the field that isochronic tones produce a stronger effect. If I thought binaural beats were better, that’s all I would use and sell, but instead, I just use isochronic tones. For hearing problems I use hearing aids which allows me to listen using BT. Using this I listen almost perfect. For my situation which of the sounds is binaural or isochronic? I only have 2 products where I use binaural beats: https://www.mindamend.com/shop/meditation-and-relaxation/spiritual-awakening-isochronic-tones-and-binaural-beats-theta-delta/ and https://www.mindamend.com/shop/energy-and-motivation/wake-without-caffeine-binaural-beats/. When you view any of my product/track pages, you will see me highlight the entrainment method used just under the first paragraph below the title. I have a problem hearing in one ear, but it’s not that bad that I need to wear a hearing aid all the time. I tend to use it when watching certain TV programs when the dialogue is hard to hear and in some environments where there are lots of ambient sounds, making it hard to hear people speak etc. I prefer listening to isochronic tones over binaural beats and I don’t usually use my hearing aid when listening to either. I have tested it while listening to binaural beats with over-ear headphones and it works just fine. I just prefer listening without it because the hearing aid makes the beats sound tinny. 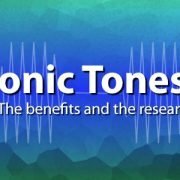 Are isochronic tones effective at delta waves? I read somewhere not. I’ve read comments about that too. 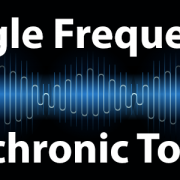 I have found isochronic tones to be effective at delta frequencies and have had loads of positive feedback over the years from people who’ve used my delta tracks. 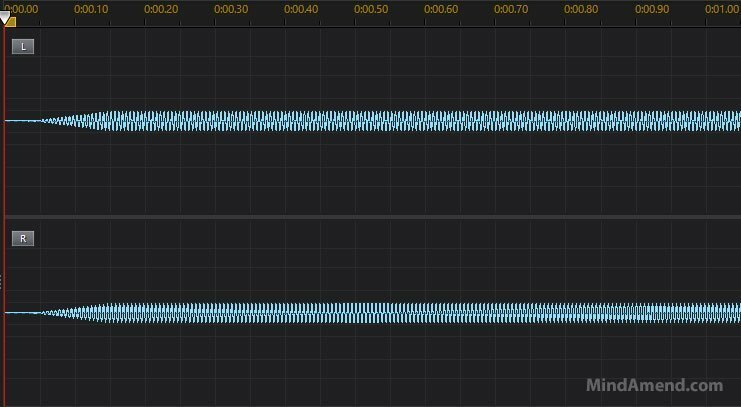 One of the things I did find was that I received better feedback if I softened the waveform of the tones. Beta isochronic tones usually have an optimized square waveform, which can sound quite abrupt. That works ok when you are trying to wake people up and get their attention. Because delta frequencies are mostly used for sleep and deep relaxation, the harsher sound of typical isochronic tones can be a bit disruptive. So for my lower frequency delta isochronic tones tracks, I use sine waves which are much softer and more pleasant to listen to. Good day, does Binaural beat work well with your heairng aids on when you use closed headphones?